Whether you are organising a corporate event or a roadshow for a new product, your main goal is most likely to grab yourself as much attention as possible. You want your stand to be surrounded by customers all interested in knowing about your product or service. So what you’re looking for, is a unique, engaging and eye-catching outdoor event! Think big, bold and BEAUTIFUL! Over the years, our professional team at Bedouin Tents have helped many event planner and organisers take charge of the spotlight. 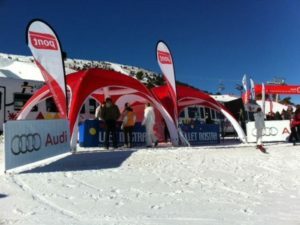 With our majestic tents or inflatables, contemporary accessories and funky lighting options, our clients have been able to create an engaging and eye catching event at public venues, festivals and even make a statement at the snow. So why not join so many of our clients’ big brand names and make an unforgettable statement at your next event or roadshow. 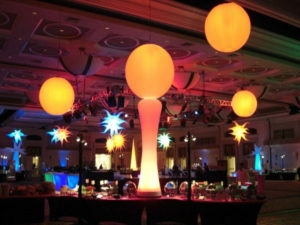 Here are some ideas to take your event to the next level. Choosing the right venue can make all the difference. You are looking to get as much traffic to your event as possible which means you want to create a buzz. 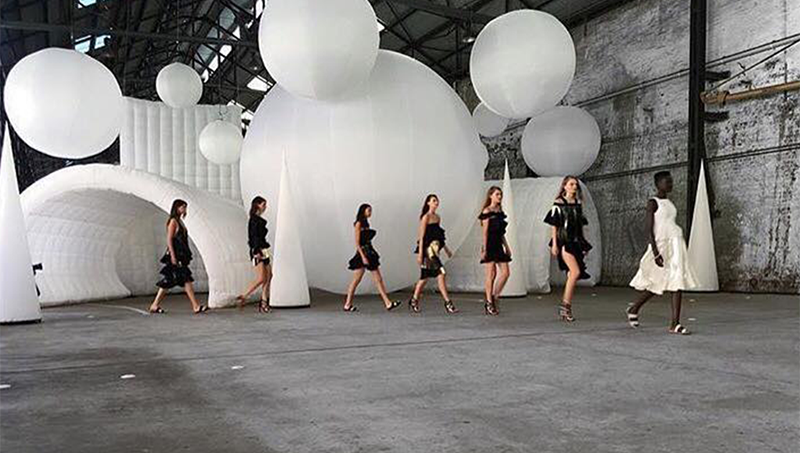 Choosing a location for your event should allow you the space to entice customers to your store. Of course, its important to make sure that you can see your brand logo is key. Choosing to place your logo on your marquee is the perfect option to stand out from the crowd. There will be no missing it from near or far! Think about giving your customers something to take home; a momento that represents your brand, product or service. Something that communicates your mantra and vision…a little token to remind your customers that your brand is the only choice. Some of our clients have used sample product giveaways, branded balls, magnets and other brandable products to engage their customers and build on brand recognition. Whether your event is during the day or night, taking some extra time to think about the lighting that will accentuate your brand could just add the wow factor to your next road show. We have so many modern lighting options to choose from; we have inflatable shapes including stars, balls and domes, illuminated bar tables and stools to romantic festoon lighting to create ambiance inside of your marquee. 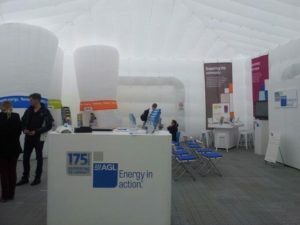 Some clients use lighting to project their brand on the inside of the tent. So take the headache out of planning your next corporate event. 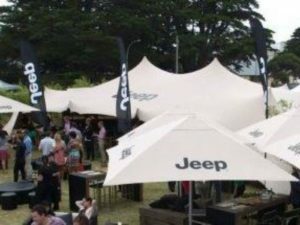 Why not let our experienced staff at Bedouin Tents help you leave a lasting impression at your next event/ brand launch or product promotion today. Call us for a free inspirational consultation and take your event to the next level.